Finding the best VPN torrenting isn’t an easy task. Torrenting Policy – a VPN that allows torrenting (Many VPNs limit and discourage torrenting). Using a VPN, people using torrents can hide their activity from the prying eyes of their ISP, while also putting up an additional layer of security against cyber criminals who are looking to exploit them. Except, many VPNs we’ve tested don’t allow torrenting. Companies like Hoxx VPN and Hola can penalize users and ban torrenting, limiting their internet freedom in the process. That’s why users who are looking to torrent need to know which VPNs will serve their purposes, and which will not. We’ve reviewed 78 different VPNs to date, and here are the best VPNs for torrenting we’ve found based on actual tests. NordVPN often tops most VPN wish lists. Turns out they’re just as strong at torrenting, too. They’re one of the legitimate contenders you see constantly vying for first position in the best VPN rankings. P2P services like torrenting are made available on NordVPN’s extensive server park of over 5,200 different servers. And over 4,500 of their servers are optimized specifically for P2P. That’s a lot of different choices afforded to their BitTorrent-loving users. 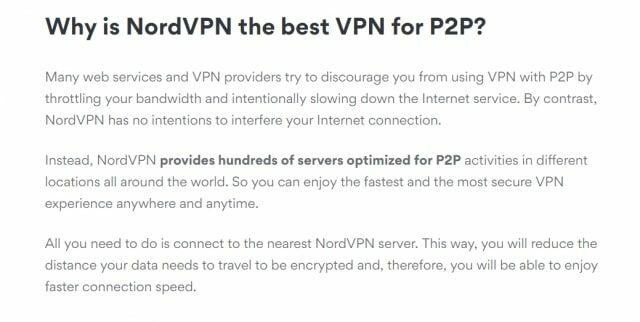 Nord protects the torrenting activity of their users with the same OpenVPN protocols and AES-256 encryption as Surfshark & ExpressVPN. They also take things a step further, combining two servers into one connection for double protection. Again, add a strict no-logging policy and a VPN killswitch to make this one of the safest and most anonymous torrenting VPNs on the market. Nord gives users the ability to torrent without limits, placing no cap on their bandwidth. Also, Nord has a price that can’t be beaten, with monthly costs under $3 for a 3-year plan. Surfshark keeps their promises on ensuring fast and safe torrenting. 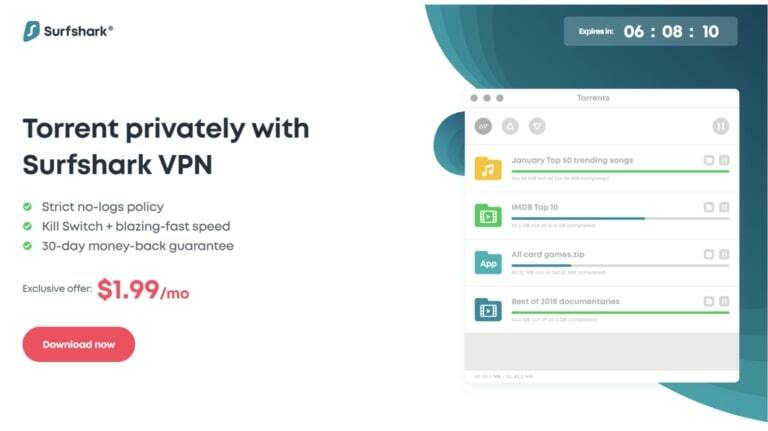 This easy-to-use VPN does not only allow torrenting, but does that without any limits: no bandwidth limit, no simultaneous connections limit, etc. Torrenting is allowed on all Surfshark servers, including countries where P2P sharing is forbidden. For such countries, Surfshark takes additional measures by rerouting traffic to special torrent-friendly servers in the Netherlands or Canada (depending on user’s location). The same action can sometimes be done by it’s automatic algorithm in order to optimize server network for all the users. This is smart. In addition to this, the provider uses modern encryption to optimize speed and provide the best user experience. Surfshark encrypt all the traffic using AES-256-GCM, which is slightly different from a widespread AES-256-CBC. The difference between the two is speed. AES-256-GCM has a built-in authentication which makes the encryption process notable faster, thus allowing greater speed. From the security side, it’s as secure as AES-256-CBC, but just faster. Surfshark is located in the British Virgin Islands, which is outside the jurisdiction of 5, 9 and 14 eyes alliances. It means that Surfshark is out of the reach for major surveillance agencies who could force them to keep information on their users. Naturally, the BVI is a safe haven for strict no-logging policies and Surfshark isn’t anything out of the ordinary. They keep no logs and that’s perfect for worry-free torrenting. As for the torrenting policy, Surfshark has a special page for people who are looking for a VPN for torrenting. The page explains their policy on torrenting and even lists the best torrent sites and P2P services. ExpressVPN provides all round benefits, from security to restriction free torrenting. That means you can use torrents on any of their thousands of servers around the world. I know what you’re thinking. “It can’t be that good.” I thought the same thing. Then, we tried it out for ourselves. First off, they’re located in the British Virgin Islands. This places them outside the jurisdiction of the major surveillance alliances which could force a VPN company to abdicate information about their users. That, coupled with a strict no-logging policy, make ExpressVPN a trustworthy torrenting partner. Your private browsing stays private thanks to their OpenVPN protocols, which are backed by government-level AES-256 encryption. Nobody, anywhere, is cracking that connection anytime soon. Not only does ExpressVPN allow torrenting, they actively encourage it to their users. In fact, there’s an entire page of their support section walking users through the use of uTorrent software coupled with ExpressVPN. 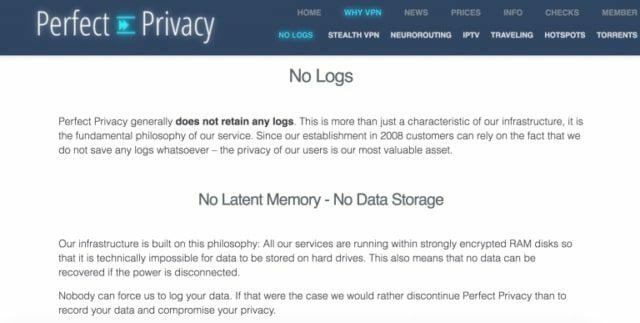 The company sums up the need for a VPN in a 2017 blog post which highlights the huge amount of data that an ISP can gather on their customers. One important section of this article talks about torrenting. Mullvad is perfect for a truly anonymous experience. Overall, they come in at number six on our list. But they’re comfortable in the top three for torrenting due to the extreme lengths it takes to protect the privacy of its users. Mullvad is a Swedish company. They’re the only VPN that we’ve encountered that requires absolutely no information on their clients. Not even an email address. When you sign up, you’re given a numbered account and that’s it! They also keep no logs whatsoever, which means your torrenting experience will be completely private. And although Sweden is located within the jurisdiction of the extended 14 Eyes Surveillance Alliance, they can’t turn over information if they don’t have any of it. All torrenting is protected with that same winning combination of OpenVPN protocols, coupled with AES-256 encryption. To put this in perspective, that’s the security system used by the FBI. If it can protect US national secrets, you can be sure that it will protect your downloads. On top of that, they encourage anonymous forms of payment like cryptocurrencies. All Bitcoin transactions are private and confidential, adding another layer of security to Mullvad. Mullvad also employs a VPN killswitch. A killswitch monitors for leaks in your VPN tunnel, and if leaks are detected that could potentially expose you, the killswitch activates and boots you off the service. It’s your torrenting lifeline, and something to always look for when researching VPNs. Mullvad supports all BitTorrent software, but they heavily push the use of qBitTorrent to their users. They don’t block BitTorrent clients like uTorrent or BitComet, but they do state that they don’t believe these services are as safe, citing the presence of harmful adware, poor privacy settings, and the lack of open sourcing. Mullvad is one of those VPNs that doesn’t just allow torrenting, they embrace it. There’s a whole page on their official website that walks users through the process. For more information on Mullvad, check out their official website. If you want to hear our full opinions on Mullvad, both pros and cons, check out our official Mullvad review. Our number three overall ranked VPN comes in at number four on this list. Perfect Privacy encrypts and anonymizes your data. Just like everyone else on this list. But they also offer full support to BitTorrent. While the company encourages torrenting, they come with a few restrictions. Only certain dedicated servers are set aside for P2P because those ones are engineered to allow for anonymous connections up to 1,000 Mbps. Another factor that bumped Perfect Privacy down our list was their connection speeds. 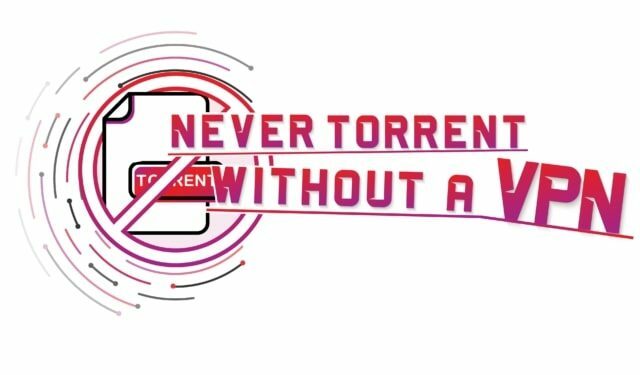 Torrenting requires a high download speed, and our tests revealed that this VPN struggled a bit in that area. It also comes at a high cost, with some users paying over $15 per month. But when it comes to anonymity and privacy, Perfect Privacy lives up to its name. Your information is sealed behind an impenetrable wall of OpenVPN tunneling protocols and AES-256 encryption. Some of the other tunneling protocols offered by Perfect Privacy are IPSec and SSH, plus SOCKS5 and PPTP proxies. This plethora of options means that users from all walks of life will be able to find something that works perfectly for their device and connection. To top it all off, our tests also showed that Perfect Privacy is a leak and virus-free program. The last thing that a BitTorrent user wants is to be compromised by DNS and WebRTC leaks or to have vicious Malware invade their system. That’s precisely the type of vulnerability a torrenting VPN is meant to guard against. One of Perfect Privacy’s most valuable features is unlimited simultaneous connections. That’s a huge bonus, as it means that you can connect this service to every computer in the house. For more information about Perfect Privacy, check out their official website. To see more of our thoughts on this VPN, check out our Perfect Privacy VPN review. Private Internet Access (PIA) offers over 3,300 servers in 31 countries to choose from. First off, it’s under $3 per month. That’s a can’t-beat-price. The cost is just one of the reasons we ranked PIA as our number nine overall VPN. But best of all, PIA imposes no torrenting limits, providing P2P support throughout the entirety of their massive server park. The company never explicitly says the words torrenting or BitTorrent on their site, but the P2P support speaks for itself. That’s why PIA has a great reputation throughout the torrenting community. PIA doesn’t let us down with weak encryption and protocol options, either. They provide the best-in-class OpenVPN tunneling protocols, along with AES-128 and AES-256 encryption standards. While they’re not logging any of your usage information, they are keeping track of your email address and payment info. That’s not a huge deal as you can create a new email address that’s not connected to your personal information, and it allows you to pay with untraceable cryptocurrency. For more information on PIA, check out their official website. To learn more about the pros and cons of using PIA, check out our official Private Internet Access VPN review. TorGuard, despite its name, has nothing to do with the popular TOR proxy browser. The “tor” in its name actually stands for torrenting. We ranked it at number 15th on our list of overall VPNs, and its torrenting policies are a big part of the reason why it ranks so high. Here you have another A-list VPN with some excellent torrenting-related perks. 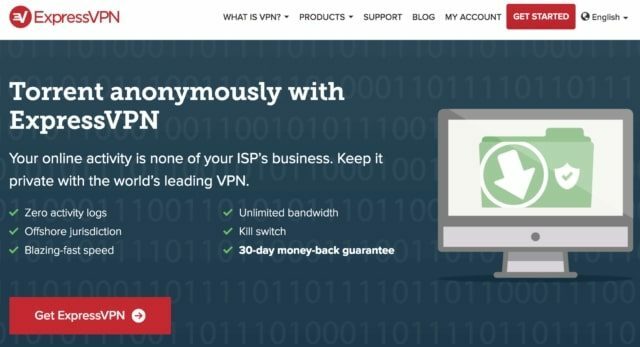 This company actually offers a bundle that includes a proxy which allows users to torrent at higher speeds than their VPN service. They literally have torrenting on the brain. TorGuard goes out of its way to state on their official website that their servers are optimized for torrenting, and they impose no restrictions on their users. But is your torrenting activity protected? They’re rounding out our list of torrenting VPNs that use OpenVPN and AES-256 encryption. The fact that every product on this list uses that pairing shows how effective and useful they truly are. TorGuard offers a completely anonymous system that features no logging whatsoever – a fact that they are quick to point out in several areas of their website. So why is this at the bottom of the list? Its jurisdiction lies in the United States, which makes it a part of the Five Eyes Surveillance Alliance. So, if Uncle Sam came knocking on TorGuard’s door, they’d have no choice but to comply. Any information the federal government gathers on you would then be shared with the other member countries, which include the United Kingdom, Canada, New Zealand, and Australia. That’s a huge concern in our view. Especially if you plan on using torrenting activities to download content that has sketchy sources. To find out more about TorGuard, check out their official website. To learn more about our opinions on this system, check out our official TorGuard VPN review. Finding the right VPN for your torrenting needs can be difficult, but there are a few key things to remember when deciding on an option. When torrenting, you want a VPN that allows you to torrent with as few restrictions as possible. Additionally, it’s imperative to use a VPN provider that doesn’t log any of your personal information. That’s important in case user data is requested by government or law enforcement. You can compare the torrenting and logging policies of all the VPN providers we reviewed in our comparison chart, below.